Category: Utilities / Anti-Virus | Author: Agnitum, Ltd.
Anti-virus, anti-spyware, firewall, anti-spam for all-round proactive protection. Online and offline malware prevention and powerful web control tools deliver strong but light on resources PC security. New Outpost 7.5 - Performance Edition is designed to make your Internet surfing as safe as possible without impacting system speed. 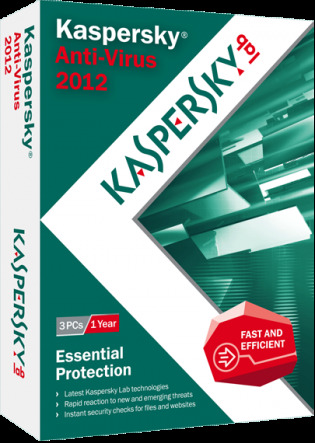 Key enhancements include SmartDecision technology to help facilitate decision-making in security issues by rating every executable file against a number of criteria and providing visual guidance as to the best way to proceed (allow or block) along with a corresponding window color - red, yellow or green. The 4th generation of SmartScan technology ensures faster subsequent scans (compared to SmartScan 3) by storing statistics and avoiding repeat scanning of previously verified and unchanged files. The updated antimalware engine delivers even greater detection accuracy by grouping similar virus implementations under a single signature; thus, even an increase in the number of signatures contributes to reduced performance impact. The anti-leak module is enhanced with clipboard and screen content protection functionality to prevent data leaks and inadvertent information disclosure during "copy-paste" operations. In order to combat malware which spreads via USB storage devices by using the Windows auto-run vulnerability, Outpost 7.5 now includes specific USB virus protection that can completely block USB device or block all executable files and scripts on USB devices. Outpost's PDF scanning module is now able to check non-standard and damaged files more effectively including PDF email attachments. A revamped auto-learning mode integrated with SmartDecision technology provides extended security even for contaminated systems. Outpost Security will meet your needs with automatically-applied anti-malware and blacklist updates as well as real-world security policies from the ImproveNet user collaboration network.